Q Spill a beauty secret. A I’m obsessed with skin care products. Biologique Recherche is one of the best brands out there. Its Lotion P50, carried by Toska in Mount Pleasant, is life-changing. Q We know you love shoes—which style do you wear most? A Since Chanel’s two-tone “Mademoiselle” sling-backs were rereleased in 2015, I’ve worn them almost religiously. They’re so comfortable. Q Have a go-to handbag? 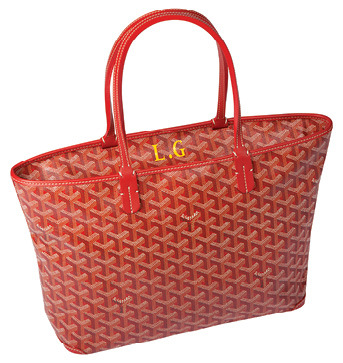 A I’ve been traveling constantly over the past year, so I finally invested in a Goyard tote [the “Artois PM” is shown above]. It’s lightweight and folds flat in my suitcase—important because my shih tzu, Rocky, is often my second carry-on. 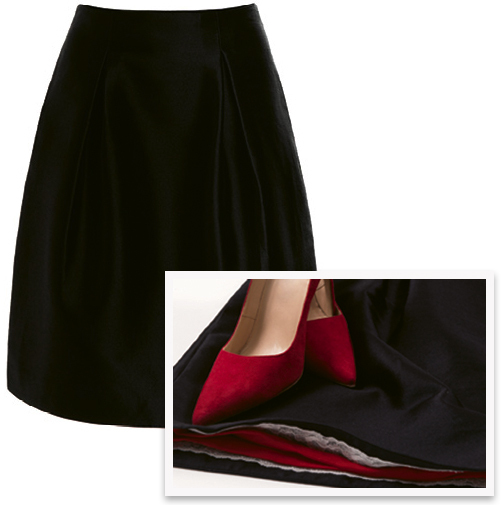 Senza Tempo’s garments, including the “Diana” skirt, each have a contrasting silk lining. Q What inspired your brand? A I was searching for a new black A-line skirt, but I could only find very high-end designer versions. I realized there was space in the market for wardrobe essentials that were on par with European quality, but didn’t cost a fortune. Q What’s next for Senza Tempo? A Most of our items are fairly seasonless if you live in New York, like many of my clients, but in the coming months, we’ll be releasing lighter-weight items for women in warmer climates. Q What’s on your bookshelf? A I read everything from WWII history to business books. 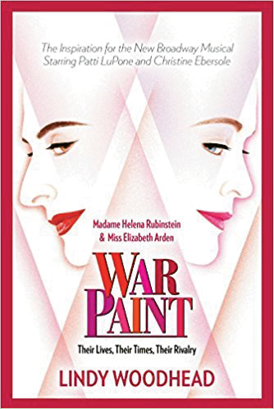 Recently, I finished War Paint, about the rivalry between Elizabeth Arden and Helena Rubenstein. 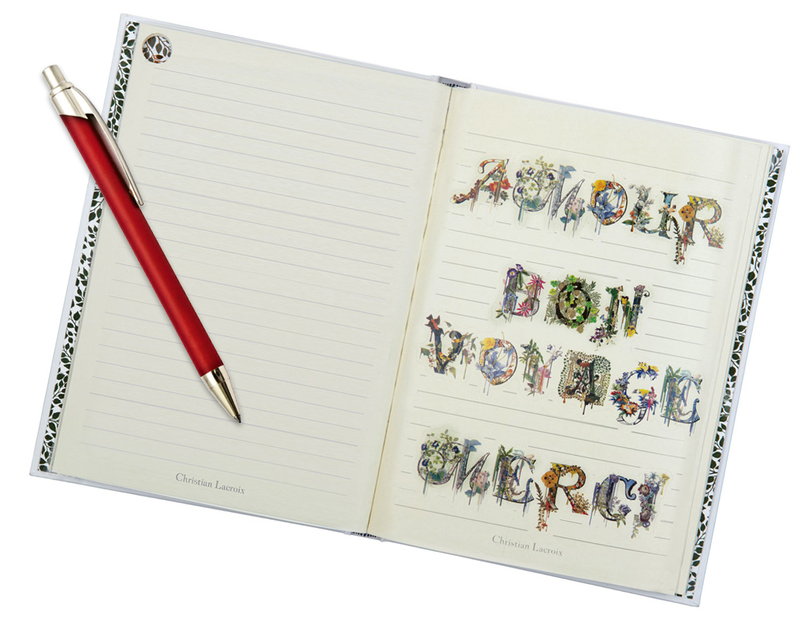 A I’m always taking notes to keep track of ideas and am in love with the colorful Christian Lacroix journals at The Living Room in Mount Pleasant.